The following was previously published in the Americana at Manhasset’s Concours d’Elegance Magazine. At one time, all racing drivers were “gentlemen.” In a vintage photo collection, one probably won’t find an energy drink company’s logo adorning the side of a 1920s racer, and thank heaven for that. Rather, in the nascent days of automobile racing, it was almost always the car’s driver who footed the bill for everything—from gasoline to tires to après-race Champagne. Marketing and racing hadn’t yet formed their hand-in-hand relationship and it was considered tacky to slather logotypes and trademarked phrases onto a car that Monsieur Bugatti or Mr. Bentley built to one’s exacting specifications. The money came the old-fashioned way: the young scions of Britain or France or America had family funds to lavish upon their dangerous pursuits. 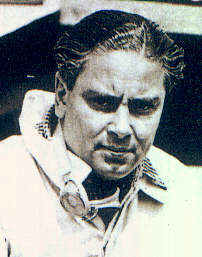 Woolf A. Barnato—Wolf Barnato was a true English gentleman. In the sepia-toned days of the automobile in the early part of the 20th century, cars were the toys of the rich. To get from point “A” to point “B” with reliability meant riding a horse. Racing cars, then, were the toys of the crazy rich, and Mr. Barnato certainly fit the bill. In an era when “the tires were skinny and the drivers were fat,” Champagne was de rigueur in the pits, as were raccoon-skin coats and household chauffeurs who acted as team mechanics on weekends. Barnato was one of the “Bentley Boys,” and in the 1920s, these daredevils banded together and they beat all who challenged. Barnato also financed the Bentley marque. This son of South African Jewish immigrants inherited a multi-million-pound fortune at age two and then went on to win the 24 Hours of LeMans three times. In fact, Barnato only entered the 24 Hours of LeMans three times, so that means he has a perfect wins-to-starts ratio. Sadly, Barnato lost money in the Great Depression and sold Bentley to Rolls-Royce. Boy, were those the days. Pat Moss—This British racer of the 1940s through 1970s was the daughter of a racecar driver. She is also sister of the “greatest driver never to win an F1 World Championship,” Sir Stirling Moss, and with a lineage like that, the “feminine stereotype” of bad driving didn’t stand a chance in the Moss household. You see, Patricia Moss was literally born to drive. In an era when females were thought of curiosities in the sporting world, Miss Moss dominated the sport of rally driving in her homeland, and later, Europe. This plucky pilotte won the hearts of many fans, and when she married fellow rally driver (and legend) Erik Carlsson, it was clear Pat Mos had conquered the very best. Not Johnnie, but Rob Walker. Rob Walker—Another Brit from another fortune, but this “well of money” ran very, very deep. If the name “Walker” seems familiar to you, chances are you’ve sampled some of Rob’s family’s Scotch whiskey. You know: Johnnie Walker. This gentleman in a top-hot and cane probably would’ve approved of his great-great-great grandson’s racing exploits. Rob Walker not only piloted cars, when he retired from driving, he started his own team and eventually contested in Formula One, the pinnacle of motor sport. Then, when Rob retired from team ownership, he took up that noblest and greatest of professions: automotive journalist. Perhaps the most fun fact about Walker was what was printed on his British passport:, under “Occupation,” he wrote, “gentleman.” Well said, old boy, well said. John Fitch—This American, born in 1917, is still with us and living in Connecticut. Not only was John Fitch the first American who went to postwar Europe and found success on the racetracks, but he is also an accomplished inventor and businessman. In fact, each day, we’re touched (and saved if we’re touched) by the technology he pioneered, the Fitch Barrier, which can be found on the side of most highways. (You know ‘em—they’re like large barrels, filled with sand or water.) Fitch’s father was an executive of Stutz, the automaker who marketed the first sportscar, the Bearcat. When he was young, John built his own cars, from junk. This passion for engineering and speed took him to Lehigh University, where he graduated, before joining the US Army Air Corps in 1941. Incredibly, Fitch, in a P-51 Mustang fighter, shot-down a German jet fighter; however, two months before V-E Day, John was shot-down and spent time as a P.O.W. After WW2, Fitch opened an MG dealership and resumed racing. In 1951, he won the Buenos Aires Grand Prix and was named “Sports Car Driver of the Year” in 1953. John was named leader of the Chevrolet Corvette racing team and took them to a win at Sebring in 1956. In fact, in 2005, at age 88, Fitch drove a 1955 Mercedes-Benz 300 SLR at the Bonneville Salt Flats and did a respectable 155 mph..! Yet, Fitch is just as easily known for being a safety pioneer, for the aforementioned devices, to the Fitch Compression Barrier to the Fitch Displaceable Guardrail to the Fitch Full Driver Capsule. Am I forgetting anything? Yep: Fitch’s Cervical Spine Traction Therapy, which helps relieve disk pressure in hospital patients. John Fitch, thank you! Peter Revson—Almost every woman in America has a connection to Peter Revson. That may be exaggerating, but what lady hasn’t tried Revlon cosmetics? Peter Revson was heir to the makeup fortune, and rather than living his life swaddled in silk while dodging canapés, Revson chose to live fast and hard. He began racing while at Cornell University and, in 1968, was signed by AMC for its new Javelin racing program. Two years later, Revson teamed with actor Steve McQueen for the 12 Hours of Sebring and finished second. Clearly, this mascara heir could drive. In 1971, Peter became the first American to win the Can-Am racing championship, driving for McLaren. That same year, he finished second in the Indianapolis “500,” after taking pole position. In 1972, Revson was promoted to the McLaren F1 team and, in 1973, he won both the British Grand Prix and the Canadian Grand Prix. 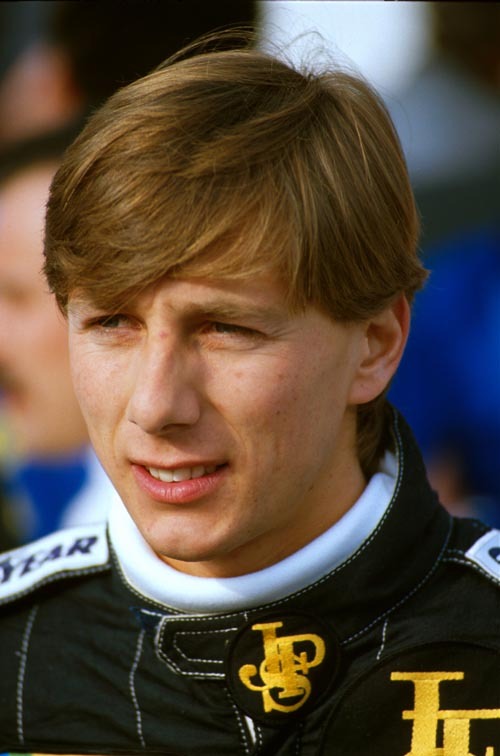 (In fact, he’s the last US-born driver to win an F1 race.) In 1974, while practicing for the South African Grand Prix, Revson’s suspension failed, sending the 35 year old to an early grave. Lance Reventlow—One wouldn’t think an “all-American boy” like Lance was really named LawrenceGraf von Haugwitz-Hardenberg-Reventlow, but he was. Okay, so LR wasn’t an “average boy.” His step-father at one time was Cary Grant. His mother? That would be Barbara Hutton—you know, once the richest woman on earth and the heiress to the Woolworth’s fortune. The notoriously erratic Babs’ second marriage (out of seven) was to a Danish count and that union produced Lance. Barbara and her husband split-up, which meant that their son was raised by nannies and shipped off to boarding schools. Yet, when he was 12, Lance’s mother married a Russian prince who was a successful racing driver. Lance was bitten by the “speed bug” and his bottomless bank account meant that he could own any high-performance car he desired. In Los Angeles, Reventlow counted James Dean as a close friend and car buddy and he was one of the last people to speak to the actor before his demise on a rural road. Lance spent some time in Europe, racing the “junior Formula cars” of the day, but soon returned to the Golden State to establish his very own racecar company, Scarab. Remarkably, Lance had put together a crack team and their cars won many races. Riding even higher, Reventlow married actress Jill St. John and the glamorous couple became “tabloid fodder” in those flash bulb and newsprint years. Yet, the pair would divorce after four years of marriage and Reventlow soon lost his passion for racing. In addition to being a skilled driver, Lance was an airplane pilot, sailor, hiker, and skier. When he was 36, Reventlow was scouting Aspen, Colorado, for a location to construct a ski resort. The small plane in which he was flying was helmed by an inexperienced pilot who stalled the aircraft in a canyon, killing all those aboard. No DUI’s for beer’s namesake, Courage. Piers Courage—Yet another Brit from yet another liquor fortune… What is it with these families who are literally “drowning” in money? It seems a couple generations after ol’ Grandad invented a good drink, the scions of the family wanted to dance with danger. Piers Courage, who was heir to a British beer fortune, was educated at the prestigious Eton school and raced his very own Lotus when he began his career. At age 23, Piers was competing in Formula Three and he racked-up several wins. This led the BRM Formula One team to sign Courage in 1967. 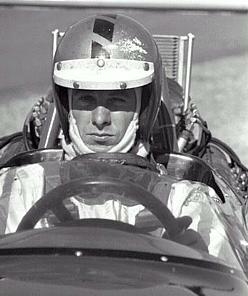 However, his wild driving style and the propensity to spin meant that his time with BRM was short-lived. In 1969, Piers was hired by the fledgling Williams team to compete in F1 again. The next year, Courage was in a Williams for the Dutch Grand Prix, when the chassis on his car suffered a failure at speed. The 28 year-old was killed almost immediately; Piers Courage was survived by his wife and two young sons. The 7th Marquess of Bute. Johnny Dumfries—John Crichton-Stuart, the Earl of Dumfries, was actually Ayrton Senna’s teammate at Team Lotus in 1986. I’ll ask everyone to re-read that sentence, because “Johnny Dumfries” (his nom de course) was so good that he partnered with the greatest driver of all-time. Er, well, maybe… Or maybe he brought so much money to the struggling Lotus team that they let him take a spin in one of their fancy F1 cars for a year. Okay, we’re being hard on the 7th Marquess of Bute, because in 1988, he actually co-won the 24 Hours of LeMans in a Jaguar. The Earl retired from racing in 1991 and now presides over a fortune estimated to be worth in excess of $200 million. Porfirio Rubirosa—How can one sum-up, in a paragraph, the life of a man who supposedly served as the inspiration for James Bond? Here’s a go: in many Manhattan restaurants during the 1950s, the largest pepper mill was nicknamed “the Rubirosa.” Think about it. This legend began life as the son of a Dominican Republic diplomat. Rubi grew up in Paris and returned to his homeland at age 17. When he was 22, Porfirio met President Rafael Trujillo at a country club. Developing a close friendship with your head of state is a good career move, and Rubi was soon a “diplomat,” with postings in such exotic locales as Havana, Rome, Buenos Aires, and Brussels. Porfirio was a big-spender with his government’s funds, yet Trujillo didn’t mind because he enjoyed the social connections that Rubi made. In the salons of New York, Palm Beach, Los Angeles, and Washington, Porfirio was in demand as a raconteur and a lover. Porfirio Rubirosa was romantically linked to Marilyn Monroe, Eartha Kitt, Ava Gardner, Rita Hayworth, Veronica Lake, Joan Crawford, Zsa Zsa Gabor, and even Eva Peron! He was married to French actress Danielle Darrieux; to American heiress Barbara Hutton (there she is again); and to teenager Odile Rodin, Rubi’s last missus. And we still haven’t talked about his skills in an automobile. After the second World War, Porfirio dove into polo and car racing with passion, becoming highly proficient in both. As a privateer, Rubi raced in the 24 Hours of LeMans and the 12 Hours of Sebring a number of times. 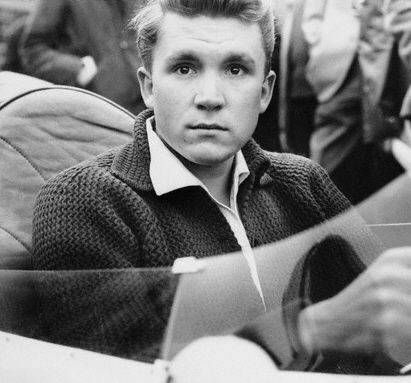 In fact, he entered a Formula One race in 1955, but couldn’t compete due to illness. Sadly, in the early morning of July 5th, 1965, 56 year-old Porfirio Rubirosa crashed his Ferrari 250 GT into a tree. He was returning from a celebration (of course) at a trendy Paris nightclub (of course); Rubi had just won the Coupe de France polo championship. But of course. This entry was posted on February 8, 2012 at 7:35 am and is filed under Automobiles. You can follow any responses to this entry through the RSS 2.0 feed. You can leave a response, or trackback from your own site.